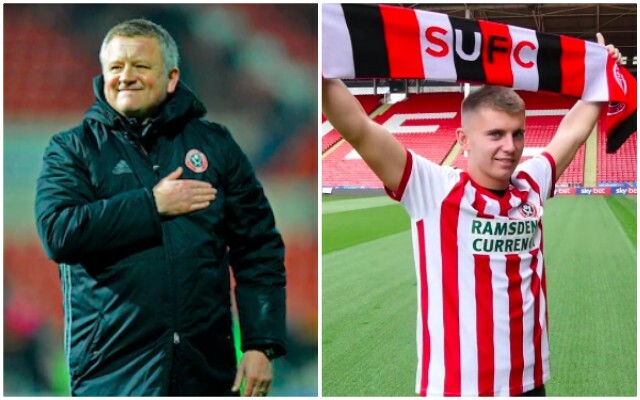 Sheffield United manager Chris Wilder has played down the suggestions that he has no time for Liverpool loanee Ben Woodburn, despite recently allowing the youngster a return to his parent club to play an U23 game. Woodburn was the surprise name on the team-sheet for the defeat against Derby, with many assuming he wouldn’t even head back to the Blades afterwards. But Wilder has claimed Woodburn’s situation is normal and that the simple fact of the matter is he isn’t currently warranting a spot in the starting XI or the bench. “Ben’s not a special case at all; we’ve got seven or eight players in the same boat, who can’t get in the team, and he’s no different because he’s come from Liverpool,” he said, reported in the Echo. “Ben’s been away with the national squad and didn’t get any minutes there, so we felt it was important that he keeps playing football. So far this term, Woodburn has played just 146 minutes of Championship football, which is not going to be doing anything for his confidence or progression. In hindsight, it would have been smart to send Woodburn to work under Steven Gerrard at Rangers, where Ryan Kent and Ovie Ejaria are currently flourishing. But the reality is that the SPL is nowhere near a high enough standard of football and if Woodburn has genuine prospects of being a first-team player for Liverpool, he needs to be starring in the Championship aged 19. Hopefully, his luck will change – but if not – he’ll be sent to a different side in January and get the minutes his talent deserves.